Google Chrome recently released an update version showing a warning to all users who attempt to visit a site with a suspect or invalid SSL certificate. This occurrence does not happen, for example, with all sites without a ssl certificate: in this cases, Google Chrome shows just a dot in the url bar, but does not prevent a user visiting the site in any way. 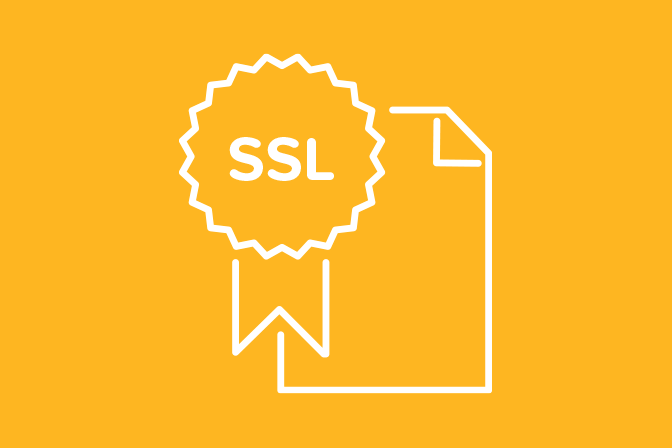 The fact is, however, that some sites working with without a SSL certificate, are indexed from Google with https urls, and https means having a ssl certificate, so a conflict is created and then consequently the warning on Google Chrome. This problem can be solved by indicating a canonical url inside the head tag of the page file. Canonical URL will suggest Google crawlers that the right version of your site is the one in http. SSL warning in Google Chrome could be the result of a conflict due to the domain you are using. In fact, it happens very often that people hosting provider and doman provider are different: this is usually solved by modifying DNS parameters of the domain. In this way a conflict is generated and Google warns your site because SSL certificate is set but appears as self-signed. This happens because some hosting companies install a SSL certificate for free when you buy a website: so you have an SSL certificate but you did not know it or you never noticed about. You can easily check this problem with a SSL Checker tool on the web. To fix it you must also change the nameservers value when you change DNS parameters of your site. Then you should ask to your hosting provider to manually reinstall SSL certificate, except the case in which these are installed automatically. Sometimes issue is also caused because your run a website with a CMS (WordPress, Joomla,..). Usually these CMS use set as default to show your site URL as an http, so you have to change this option in the settings.